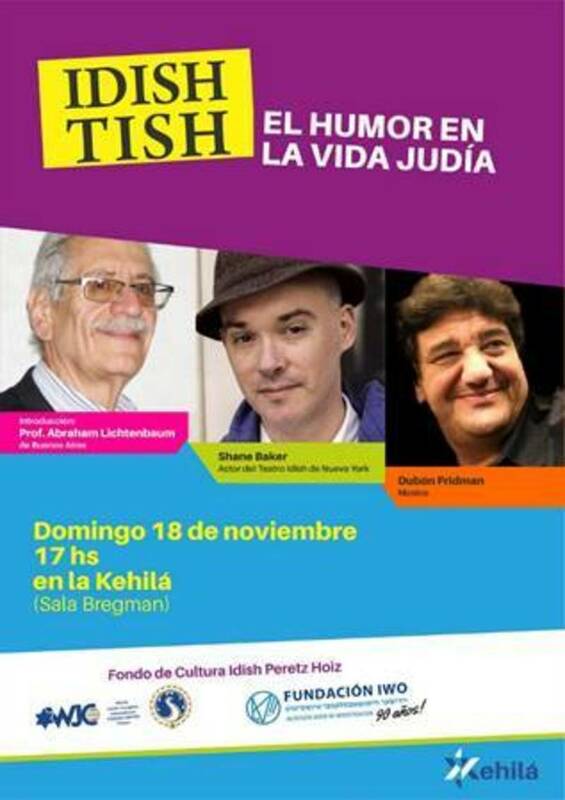 A seminar "Yiddish Theater" and a theatrical performance took place in Montevideo, the capital of Uruguay, on November 20, 2018. This project was carried out thanks to cooperation between the International Yiddish Center at the World Jewish Congress and the Fundación IWO Argentina. More than 100 people from Montevideo and nearby towns attended the event. The program began with a lecture by the IWO Argentina director, Professor Abraham Lichtenbaum: "Yiddish theater in Europe, New York and Latin America". It was followed by a talk on the history of "Kleynkunst teater" (Variety theater in Yiddish) by the actor Shane Baker. Then, at the performance "Mitz Mana", Shane Baker presented songs, poems and short scenes in mame-loshn. The evaluation by the participants was highly positive. Lots of them expressed their gratitude and interest in hosting a new edition of such seminar next year.